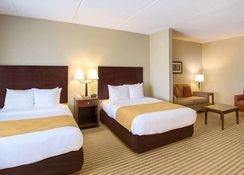 Set in a great location from which you can get to Universal Studios and SeaWorld, the Comfort Suites Universal Studios Area offers comfortable accommodation for couples and families with children. There is an abundance of on-site amenities to make your stay an enjoyable one including a pool, sun loungers and hot tub while you can also get free access to the fitness center. Guests can enjoy a free hot breakfast while it is also in a good spot from which to visit Walt Disney World, Disney’s Hollywood Studios and a range of shopping malls such as Belz Factory Outlet Mall and the Florida Mall. 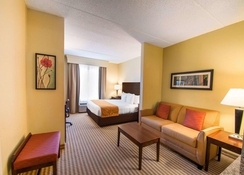 The Comfort Suites Universal Studios Area is favoured by many travellers to Florida due to its location and amenities. Located just a few miles from Universal Studios, this resort is perfectly suited for a holiday visiting the various theme parks. Universal Studios is just 1 mile away while SeaWorld (5.1 miles), Disney’s Magic Kingdom (9 miles), Hollywood Studios (10.7 miles) and Walt Disney World and Epcot are 9 miles away. The Orlando International Airport is 9.4 miles from the property and guests can also head to a variety of golf courses which are in the area or the abundance of shopping malls. 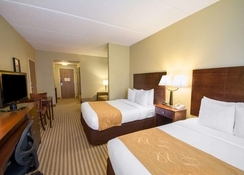 There are 101 rooms at the Comfort Suites Universal Studios Area. King Suites can sleep up to four guests, Queen Rooms have two queen beds while there are also disability accessible rooms available too. Every room comes with Wi-Fi, a living area and sofa, fridge as well as tea and coffee making facilities. You can avail of the complimentary hot breakfast during your stay at the Comfort Suites Universal Studios Area and there are various eateries in the vicinity of the hotel. This includes Soupa Sayian, Nastle Toll House Café and you can also find supermarkets just over a mile away from the property. 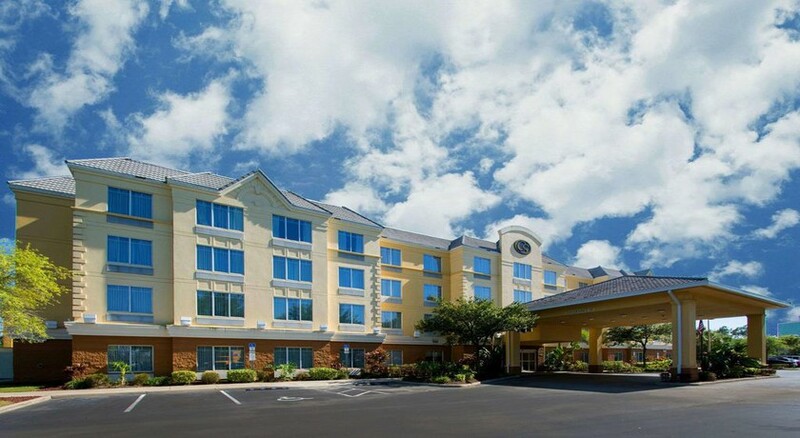 The hotel features a fitness centre and you can also hop on the free theme park shuttle which will take you to the main attractions that Orlando has to offer. 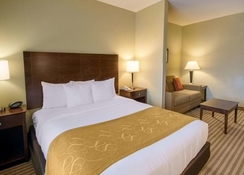 Shopaholics will especially enjoy staying at the Comfort Suites Universal Studios Area due to its close proximity to the Belz Factory Outlet Mall, Shoppers World Chopping Center and the Florida Mall is over 4.3 miles away too. Golfers can play on Shingle Creek Golf Club or Arnold Palmer’s Ball Hill Golf Club which are quite close to the hotel. The MetroWest Golf Club is another option to get in 18 holes during your stay.